When it comes to wedding planning, even the smallest of details seem momentous. From the bride’s shoes right down to the lettering of the signs directing guests where to sit, all of the decisions feel like big ones. In the grand scheme of things, the guests and even the people in the wedding party itself will probably not remember if the font was Montserrat or Josefin Sans, but it feels crucial in the moment. So how does one go about deciding on something as significant as the wedding’s color palette? We aren’t here to tell you how your wedding is supposed to look, but there are a few key tips that can help you ensure that the colors you choose work well together. Limit the number of colors. Even if all of the colors you’ve chosen look lovely next to one another, they might be overwhelming when used throughout your venue and in the bridal party’s clothing. Two to three is usually a good number to keep in mind. This keeps things simple and elegant. Be open to more colors. This seems like it goes directly against the first tip, but hear us out. If you love color and want more of it in your wedding, then you don’t have to be locked into only using one or two hues! 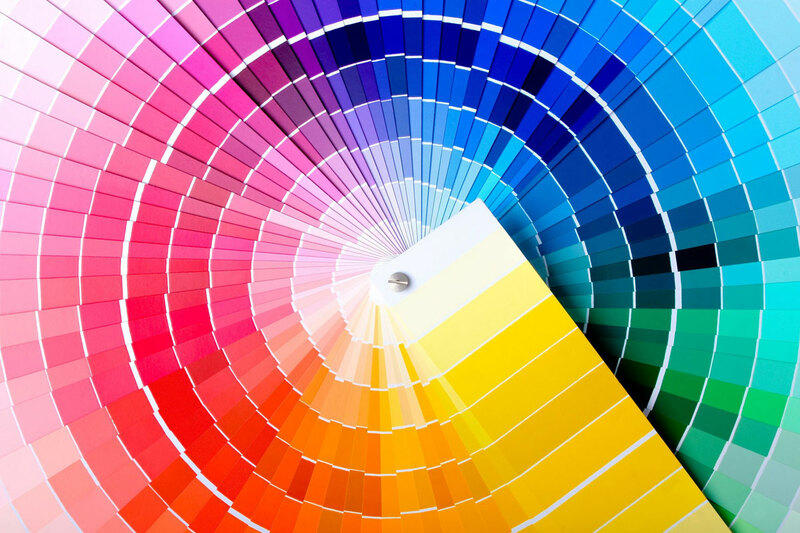 Incorporating multiple shades of the same color can help to satisfy your color cravings without overdoing things. Alternatively, you could go with several neutral tones and add a single accent color. Break away from strict color matching. It’s okay if the magenta color of your lily flower arrangements does not exactly match the napkins; it might even be better if it doesn’t. Just as long as you have a cohesive theme, it’s all right if there are slight color deviations. Consider the textures of your decor. If one of your colors is brown, that brown is going to look different in burlap than it does in satin. Think about the kinds of decorations that your wedding will have and evaluate whether your chosen color palette works with them. Think about the colors that already exist in your venue. Many venues are neutral in color, but others have distinctive color features that could clash with your scheme. Selecting colors goes hand in hand with other areas of your wedding. Choose colors that you’ll love for more than just a season. Every year comes with another round of trendy color palettes, especially if high-profile celebrities are sharing their wedding details with the masses. You may be seeing that mint color palette on every Pinterest wedding board, but is it right for you? Additionally, just because you’re getting married in December doesn’t mean you should go with red and green. Choose colors that you will love to look back on regardless of the season or fads of that year. If you’re uncertain about colors that work together or if you’re just looking for more inspiration, there are quite a few sites that can help. The Knot sorts articles by real wedding colors, seasonal wedding colors, new wedding color combinations, and much more! Another favorite is Bridal Guide; it has pages upon pages of example color palettes. Last but not least is Adobe.com, which does not cater to weddings, but it has a very useful color wheel that you can click and drag to discover new color combinations. We hope these tips have been useful in your color selection process! If you would like more personalized planning attention, Seabrook Island Weddings offers consulting services. Don’t hesitate to reach out, and congratulations on your upcoming nuptials!